4k00:30Top view of Tegalalang Rice Terrace in Ubud, Bali, Indonesia. 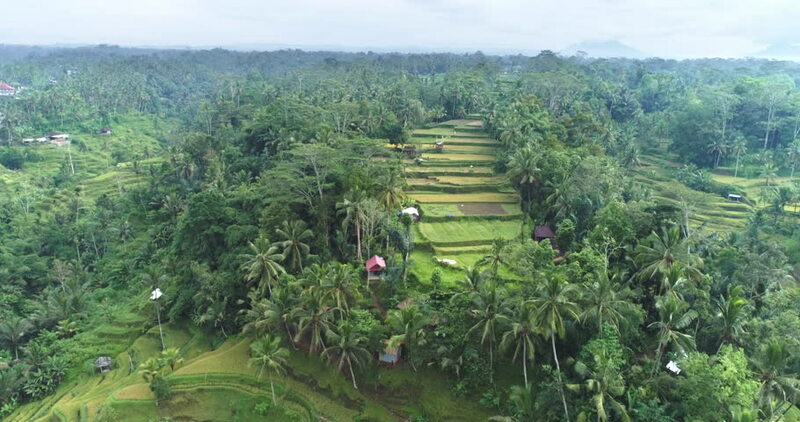 4k00:19Flying above rice terraces, and green coconut palm trees. Beautiful rice plantation fields at Bali island. 4k00:21Shooting of the big farm high on mountains. Long lines of green bushes. Gigantic field under the blue sky.